Ivo says that it is not exactly a blues record. You won't hear any blues cliches or chord progressions. "It is a blue record because it has the feeling of the colour blue; the whole album is very intimate, and it has that blue feeling throughout. Much of the time it's a kind of introspection." 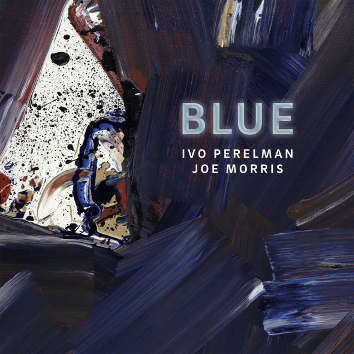 Joe Morrris is known first and foremost as a bass player but BLUE is the first album Perelman has ever recorded in the format of a saxophone/guitar duo.